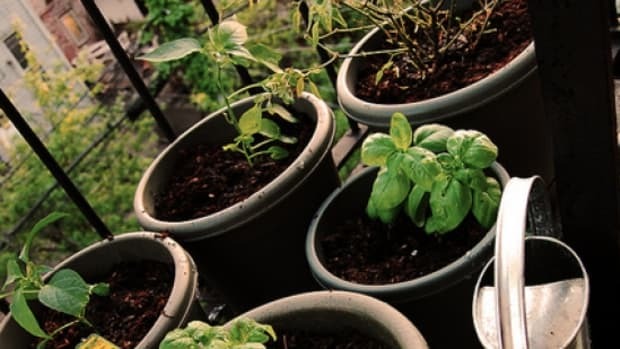 Indulge your green streak and green thumb at the same time and try your hand at creating unique repurposed container garden planters to give your yard, back porch or home a fresh piece of organic décor from upcycled materials. You can turn normal household items and thrift store scores into neat planters that charm with colorful flowers or fragrant herbs along with an element of surprise. 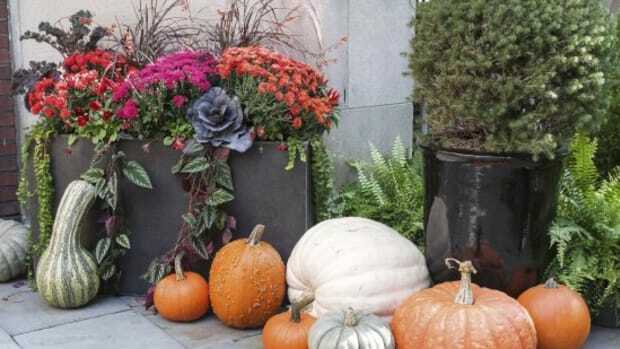 Use the following ideas, or scour your house and yard for hidden planters just waiting to happen. 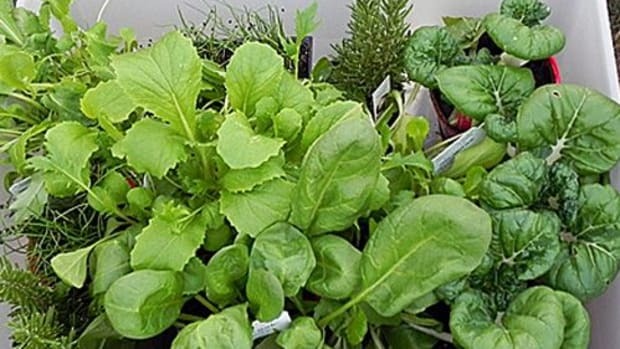 For best results, use organic potting soil for your plants. Line the bottom of each planter with enough medium-sized stones to cover it, and don’t forget to poke holes to allow for drainage. 1. Teapots – Has your teapot lost its whistle? Turn it into a pretty flowerpot for a couple of pretty blooms. Choose colors that contrast with the kettle. 2. Boots – Lovingly worn boots and shoes make beautiful planters, especially when arranged together in a line of mismatched flowers. 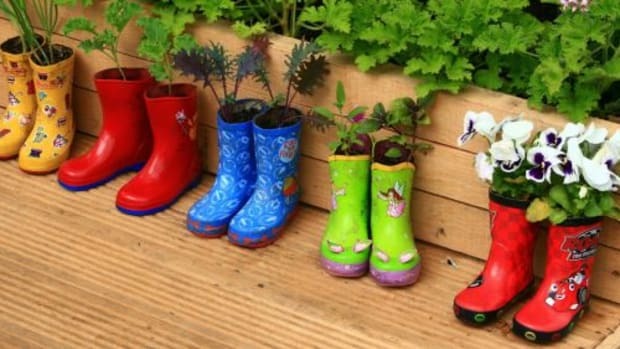 In particular, bright colored galoshes, cowboy boots and children’s shoes make cute planters. Place in a row or hang several along a fence for maximum effect. 3. Barbeque Grill – Replacing your beloved backyard barbecue grill with a snazzy new model? Use your old grill as a unique planter. Remove the grill and top cover and you’ll have room for plenty of plants, or even a whole herb garden to season the food you’ll cook on your new grill! 4. Bed Frames – Plant your bed of roses (tulips, daffodils or irises) in an actual bed frame. 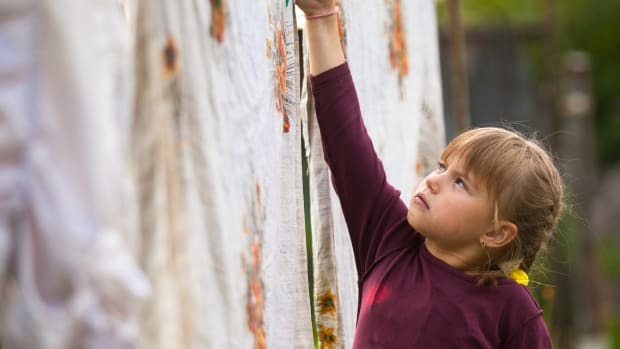 Remove the legs of a child’s bed or a vintage bed frame and you have a clever garden keeper that can wrangle quite a few flowers. 5. 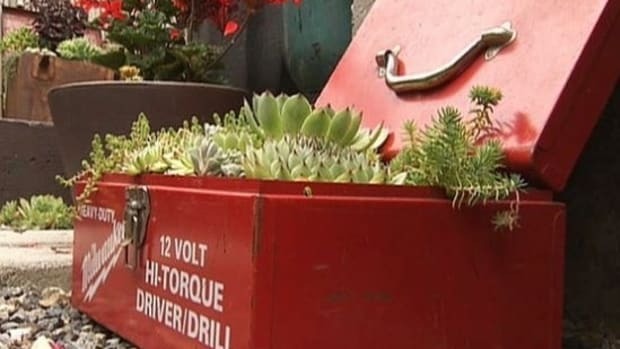 Tires – Even the ugliest old tire can have new life as a hanging planter. After drilling a few holes, plant the bottom of the circle with soil and flowers, then hang your old tire on an outside fence, door or wall. 6. Coolers – An old, stained cooler can make a kitschy camping statement when turned into a planter and filled with bright blooms, reminiscent of colored bottles of soda, juice or beer. 7. 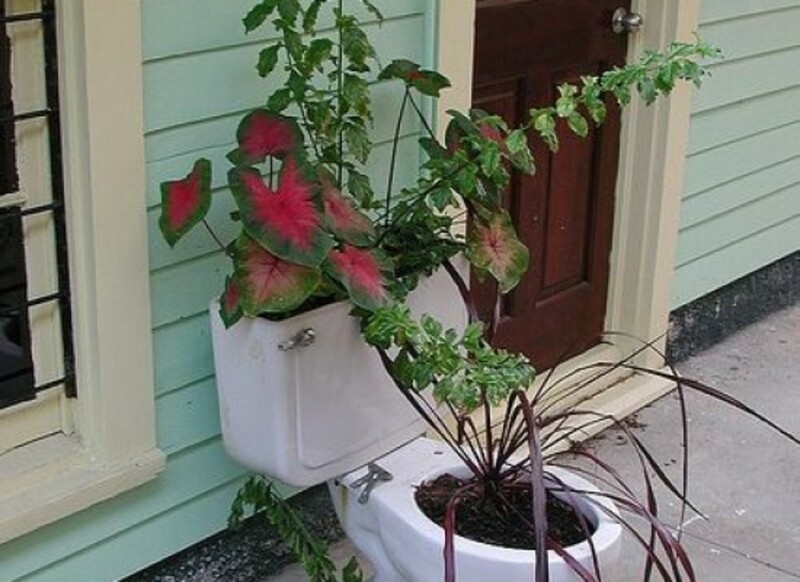 Toilet – For a truly original garden statement, turn an old commode into a flower-filled planter. You’ll have the sweetest smelling toilet in the neighborhood as well as an instant backyard conversation piece. 8. Toys – As your children grow out of their toys, keep an eye out for kiddie kitchen items, trucks, dollhouses, kick balls and other items that could be turned into a container planter. 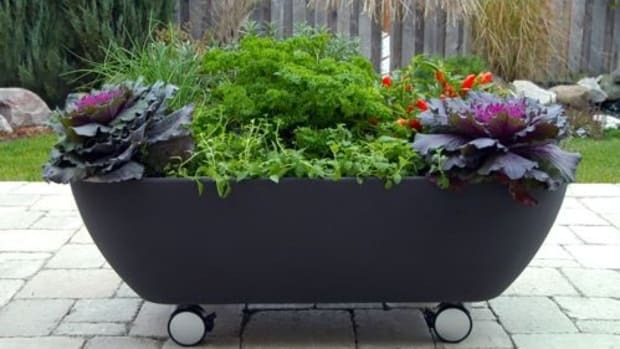 Even better, use your new garden toys to inspire the kids to tend a section of flowers, herbs or plants on their own. 9. Expired Electronics – Don’t toss your giant old computer monitor or box TV set that doesn’t work. 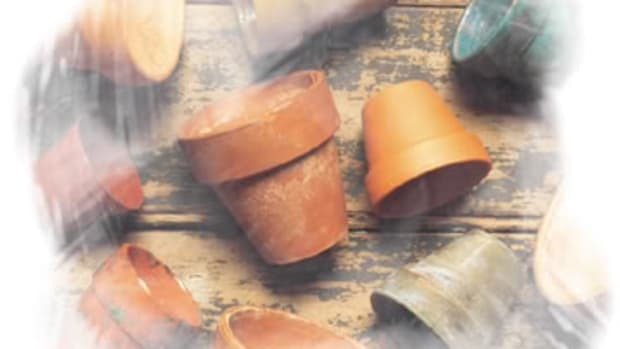 Instead, clean out the insides and use the antiquated hardware to create the hippest planter on the block. 10. Colander – Old metal colanders make ideal hanging planters, because their pre-existing holes makes it easy to hang and drain them. Be sure to pack your soil a little tighter than normal so it doesn’t fall out. 11. Desk – Take your work outside and turn an old desk into several shelves of flowers. Simple use each drawer to house your favorite plants, and pull them all out at different levels. Top the desk of with another planter made out of an old lamp, and gain a new perspective on your work.